What is your leadership quotient factor? 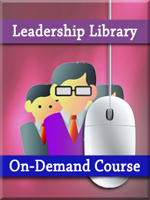 In this short video, gain understanding of the four basic leadership responsibilities and the importance of how you choose to approach others. Don’t be known as a leader by title or seniority alone!